Early childhood educators are very familiar with the requirement to observe and understand a child’s learning and development but it seems many become confused and overwhelmed when we begin talking about ‘assessment of learning’ or writing summative assessments. This might sound familiar to you…. I’ve heard the statement above in varying forms from educators many times via my email, Facebook group and Facebook page recently. I’m not sure why it has seemingly become an increasing source of concern – perhaps more early years services, leaders, directors and coordinators are now requesting their educators to compile and write summative assessments without clearly explaining the why and how. Early childhood educators use assessments to give an overview of the ‘distance travelled’ by each child on their own unique learning journey. Although many early childhood educators do not like the term ‘assessment’ used in relation to young children it is important to realise we are not talking about standardized formal testing, just ticking off checklists or writing out report cards for young children. We are endeavouring to communicate and tell a story about the child’s progress so far toward certain learning outcomes and goals and therefore enhance the continuous cycle of our planning. It should be a meaningful and reflective process for both educators and parents. Now I know you are already sighing and telling me that you already do that with all the observations, programming, photos, checklists, learning stories etc…..and you are right, you do to an extent but we are talking about providing an overview of all of this information you have already worked hard on documenting and collecting. All of the ‘evidence’ you have been collecting needs to come together to show an ongoing cycle of planning, reflection and evaluation. We are required to use this information that we have been regularly recording to now ‘sum up’ a child’s progress or ‘distance travelled’ over time. This can take many forms – you might use a template writing something under each of the outcome areas, you might decide to do a summary of the learning using your own words and the language of the EYLF to highlight and explain progress, you might write a story to the child (and parents) talking about what they have achieved and demonstrated, you might put together a learning journal or portfolio. 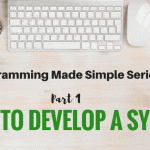 There are many possibilities and it can take a little trial and error to work out what best suits your service and programming style. 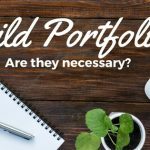 If using a portfolio though you need to make sure you aren’t just documenting the child’s progress but also analysing it to meet current assessment requirements and best practice. If you struggle with understanding what should go in a portfolio or even if you need to do one take a look at this post for some tips and essential questions to ask so you aren’t wasting your precious documenting time! The expectation and requirement for Australian educators is basically a 2 step process in regard to assessment of learning. 1. Use various methods on a regular basis to observe a child and gather information about what he knows and what he can do. Educators then review and analyse this information to identify learning against the EYLF outcomes and indicators. To complete this step educators use the information to plan further activities and extend upon that child’s learning and development. It also helps to identify areas of concern and the possibility for referral and intervention. So this is the documentation you collect and record each week for different children (& groups). 2. At regular intervals throughout the year educators now must bring all of the above documentation together to form a ‘report’ or ‘assessment’ of the child’s progress and distance travelled on the learning journey to that point. As well as progress toward learning outcomes it also becomes a general summary of the child’s interests, needs and participation in activities and experiences throughout the year. You already have the hard work done – you just have to look over what you have collected and then use it to tell a child’s learning story in the way that you (or your service, centre, leader) decide best does this. As mentioned above this can take many formats. For those who prefer to use templates to give a little more direction you can find two to get you started in my Summative Assessments Toolkit here. To keep it very simple think in terms of putting a jigsaw puzzle together. A summative assessment will bring together all the individual observations, analysis and extensions you have already recorded to build a picture of a child’s progress over time in care and complete the jigsaw puzzle. It might identify gaps, celebrate strengths and interests, indicate a requirement for early intervention, explain to parents how their child is learning and progressing and help educators to put new goals in place and think about how they can help the child to work towards those goals. So hopefully you are beginning to see that writing a summative assessment doesn’t need to be a whole lot of additional work if you are organised with your documentation sources throughout the year. But organisation is the key here. It doesn’t need to become an extra weight on your already heavy paperwork load. You just need to put a system in place to regularly bring together and review your ongoing documentation (the smaller puzzle pieces showing the child’s learning) that works for you. It becomes a way of ensuring that the great work you have done previously collecting information continues beyond just the analysis of learning you made at the time about one specific skill, activity or learning outcome and now becomes a piece of a bigger puzzle to show you an overall picture of that child’s journey. 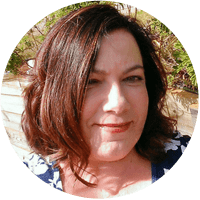 I like to use a simple documentation recording tool that helps me to keep track of all of my sources of documentation and other evidence as I progress – where it is kept, when I last updated it, reflections that highlighted something important and more. It allows me to see at a glance what I have so far completed for each child this year, the documentation sources I have used and gaps in information that might need to be addressed. So with a summative assessment you are making those ongoing observations, checklists, samples of children’s work, photos, reflections, parent communication/input, learning stories, jottings etc meaningful, relevant and also a valuable source of information for parents who may not understand the smaller pieces of the puzzle you have been working on or displaying throughout the year but they understand when they see the whole puzzle put together and presented to them in a clear summary format. It can also help them to understand their child’s strengths and challenges, and plan how they can help extend the learning into their own home. When writing a summative assessment keep in mind that you aren’t just aiming to sum up and share what you have learnt about the child’s journey so far but you are also taking steps to reflect and identify how you can continue to support that child and extend upon their learning and growth. You are using the information to create new learning goals as you move forward or the child moves into their next phase of learning somewhere new or perhaps as they begin school. 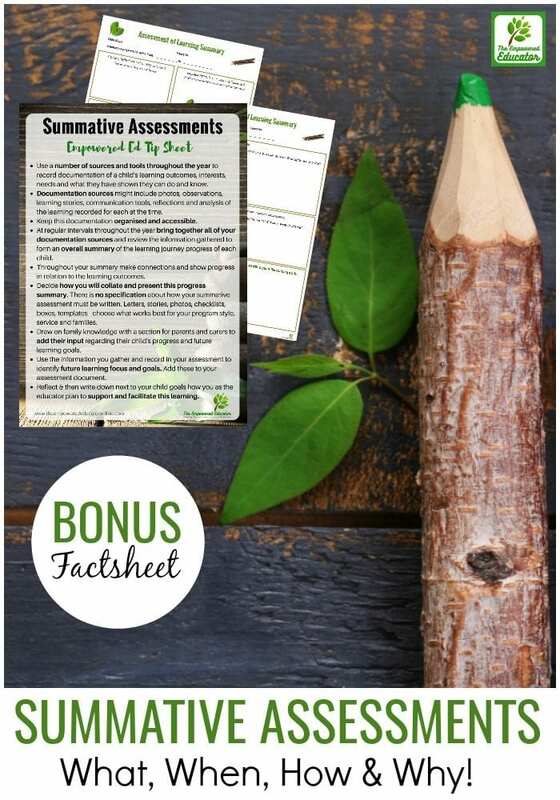 So how do I get started with Summative Assessments? The NQS does not actually specify a format that must be used for recording and putting together summative assessments. 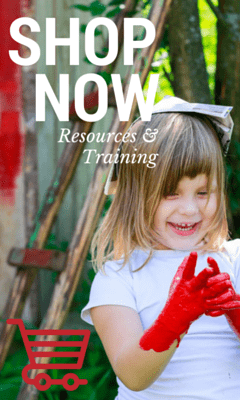 Use the information I have shared above to gain a better understanding of what information you want to include and the purpose of assessing learning in early childhood settings. Keep organised and always have your documentation sources ready to come together to help you write your assessment. 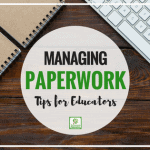 If you have to go searching for bits and pieces of paperwork that you know you have completed throughout the year and ‘have somewhere’ it is going to add to your workload and sense of overwhelm with planning expectations. Keep a record of what you have been documenting, where to find it and when you last updated it at the very minimum. I promise a little work setting up a system like this will save a whole lot of time mid year and also allow you to easily show evidence of an ongoing planning process and cycle if requested to do so. You will find an organisation form in my Summative Assessments Guide if you don’t want to create one yourself!. Decide on a timeframe to complete assessments that will show a consistent and systematic commitment to onging documentation, planning and analysis of a child’s progress in relation to learning outcomes and other important developmental factors. There is no set timeframe specified but many early learning services and educators choose to do once a school term, every 6 months or even annually. You need to decide on what works best for your service and the children in your care, trial that process and then review and change if required. Try out a few different formats and assessment styles to find out what works most effectively for you. Australian Educators – you don’t just need to list out all of the EYLF Outcomes then write something underneath each section. This is only one way to record a summative assessment and bring all that you have observed and learnt about the child together . You might decide to use one of the other methods I mentioned earlier. Get creative and think about what might work best for the parents reading your assessment and how meaningful the information you are sharing is to future assessments and planning for the child and other educators who might take over. After working through the process of summing up a child’s progress and reflecting on what you know abut a child you then need to identify how to support and extend the learning for that child (even if their time is ending with you). Write down clear and actionable learning goals that have been highlighted by the assessment process and identified by you as important to continue the learning progress. I also like to include the steps I will take to help a child to achieve those goals so it informs my future planning. Don’t overthink or overcomplicate it! Use what you have already been working on throughout the year and your knowledge of the child to simply summarise the learning journey so far and develop future learning goals. That’s it in a nutshell! 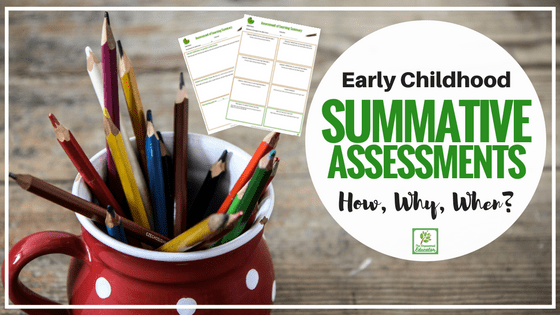 This is really just a basic guide to using Summative Assessments in early childhood settings – it is by no means comprehensive but I hope it has given you a starting point to work with and helped you feel a little more empowered to use assessments of learning as a valuable tool in your documentation toolkit rather than just another piece of ‘required paperwork’ that serves no purpose. Want More? You can download the printable A4 ‘tip sheet’ I included as part of my Summative Assessment Toolkit for free by clicking on the banner below and telling me where to send it. 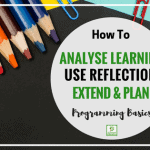 Use it as a reflection tool and to guide you as you begin the summative assessment process. 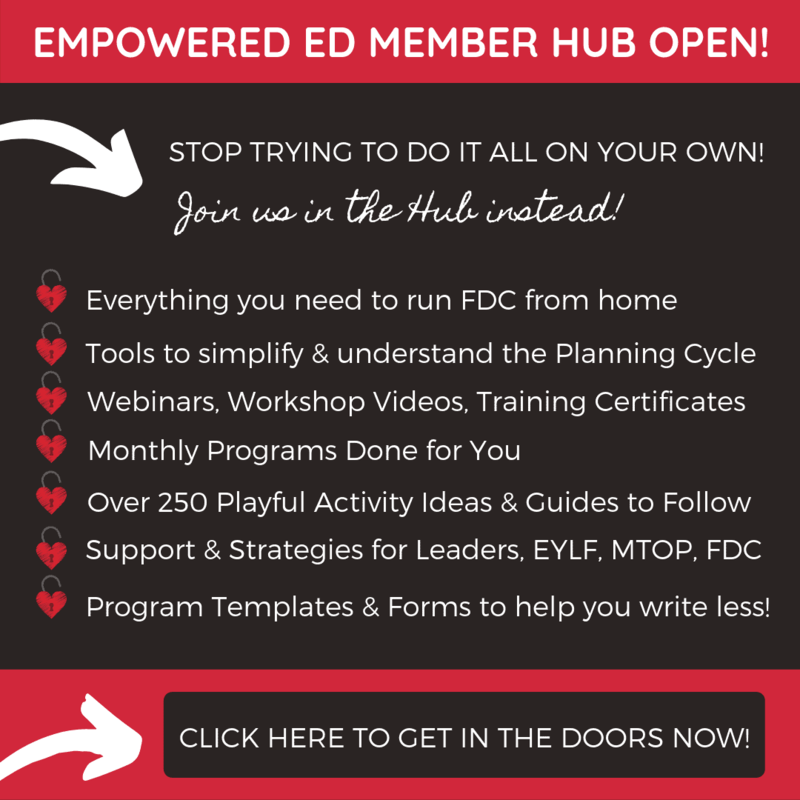 We discuss topics like this, share activity and environment inspiration and much more in my Empowered Ed Community on Facebook. 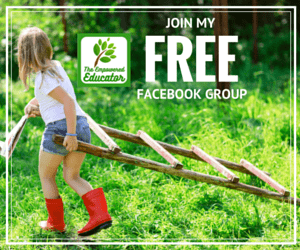 join other early childhood educators from across the world to network and connect!